CBD Oil Review rates American Shaman with four stars because it qualifies for the Quality, Charity, Mission & Innovation Badges. American Shaman borrows its name and mission from the ancient traditions of Native American healers. Their CBD product line is beautifully packaged, with a minimalistic and natural look, and they were one of the first in the business to use nanotechnology. By rendering CBD particles smaller, absorption rates and bioavailability are thought to increase dramatically. Those with chronic illnesses or disabilities, in particular, may want to give American Shaman a look to check out their ‘Compassionate Care’ program. 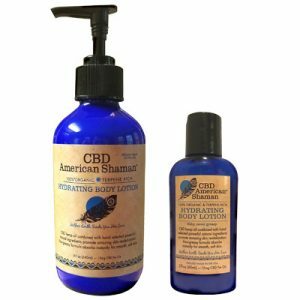 Save 20% on CBD American Shaman's complete catalog of hemp CBD products. 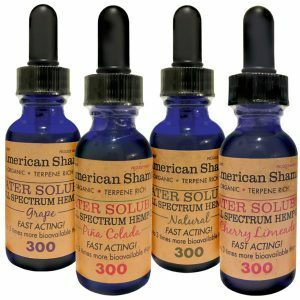 American Shaman has all the appearances of a dynamic CBD business, offering high-quality cannabidiol products for humans, cats, dogs, and even horses! Utilizing organic, non-GMO industrial hemp imported from Norway and supercritical CO2 extraction, they then create potent blends with nature’s other healers. American Shaman claims their CBD products do not contain pesticides, but we are unable to affirm this due to a lack of comprehensive independent test results. While they have tests posted online, the most current were conducted by American Shaman Laboratories, not exactly a third party. And past CoAs from ProVerde labs did not include results for contaminants like pesticides, mold, and heavy metals. CBD oil tinctures- These come in four varieties with both full spectrum and isolate options. Unfortunately, artificial flavors abound in the flavored oils, but there’s some good stuff in here too. For example, the full spectrum tinctures contain saponin, a powerful phytochemical with immune boosting properties. This is actually the first time we’ve seen this robust botanical incorporated with CBD oil. CBD oil for dogs, cats, and horses. CBD edibles- CBD candy, CBD popcorn, and a fan favorite, the Hermit Cookies. CBD topicals- This line we are proud to say uses only all-natural ingredients and includes CBD salve, serums, lip balm, and face cream. 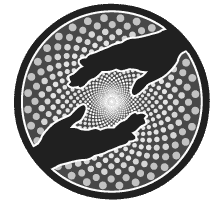 American Shaman seems motivated to contribute to the common good, as they offer a program called ‘Compassionate Care’; a straightforward application process comes first, where proof of a chronic illness or disability is required. Once accepted, they send a discount code that gives buyers 30% off any purchase – with a threshold of at least $35 needing to be spent. Bottom Line – Overall, American Shaman presents an excellent balance between cutting edge science, straightforward formulations, and old fashioned good vibes. A little work on their independent testing protocols, and we see a five-badge rating in the future. 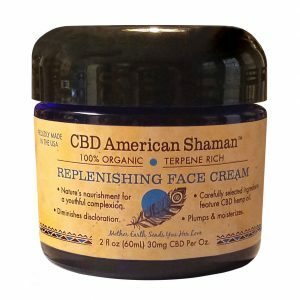 American Shaman uses only organically grown, non-GMO hemp paste imported from Norway in their CBD products. American Shaman strives to create the highest quality CBD products on the market to benefit people and the planet. American Shaman offers a ‘Compassionate Care’ program for individuals with chronic illness or disability. American Shaman was one of the first to use nanotechnology to create radically small particles of the CBD compound that generate higher bioavailability. What respectable CBD company would manufacture its products with artificial ingredients? Turn the bottle around and sure enough. In addition the Company actually puts Propelene Glycol in its VG Tincture. The product gives a burning sensation under the tongue and has a overall bad taste. The real kicker to me are all the false claims their store owners boast about. Having worked in the supplement industry claiming Nano Technology definitely works with CBD is premature as no studies have concluded this. But boasting that their Nano Technology is proprietary is ludicrous. There are Nano CBD products everywhere. The sales pitch they push on you when you visit a store gives a feeling of having a Encyclopedia salesman standing on your doorstep. They also have been deceptive in calling their products American made from day one. When it’s put in a bottle in America but the oil comes from overseas. Guess that qualifies it as “made” in America. But my real issue with this company is the products labeled as zero THC actually have THC in them. I know because I purchased a THC test kit and sure enough it contained THC. Buyer beware! Returns are not readily done please correct. So many lies... Sad.. Nano is not propiatary.. It’s a deceptive sales pitch. Foreign oils. Made in the USA is another deceptive tactic. Bottled in a unsanitary wearhouse in KC MO. Their day is coming. This product/franchise is a well timed/executed marketing ploy and cash grab! They are selling you hemp oil (which does naturally has some CBD within it), however it's at such a low dose that it's really not very relevant. Buy pure CBD products from companies that aren't marketing their products with catchy phrases such as "proprietary nano-technology" and "100% organic and terpene(of course there are terpenes within!) rich concentrated full spectrum HEMP OIL". This is why they are selling you big on the "proprietary nano-technology"-because there are only NANO*-AMOUNTS of CBD in that $70 vial of HEMP OIL that you can buy at any health care store for $5. These people jumped on a trend and are using marketing buzzwords and 'minimalist' labels that are attractive to your eye, brain, and subsequently, your wallet. **Nano: a combining form with the meaning “very small, minute,” used in the formation of compound words ( nanoplankton ); in the names of units of measure it has the specific sense “one billionth” (10-9):Find a better source for your CBD! Do your research! If a company is using catch phrases that don't really seem to mean much when you pick apart the surface, you may want to move on! This is not about their cbd tho I wasn't really able to test it. This is about your employees at Pawnee and Broadway.I went in and was handed a price list. On it the 5 cbd gummies are priced $10. No one said anything about coupons or discounts for buying $25. I found them to be less knowledgable than most. When I got home I found they had charged me $15. I went back and they said there was a price raise. Without telling me how did they know I still wanted it that price. I called and stated this. No help.Either those employees are cheating the company or really un informed as to policy. I did call other stores and found no price changes from list. As a side note they also exhibit rather obvious boyfriend/girlfriend behavior. Thanks for your time and would still like to hear back as I live quite close to this store and will not return. Why are artificial flavors being used in the products and is diacetyl involved? Best CBD I've ever had! Great product. I’ve been using the Cloud for 6 weeks. It can be vaped, sublingual and or put in water, juices, coffee, etc. It has really helped with my anxiety and helps me sleep through the night.Best product ever.Thank You American Shaman Grayslake, y’all Changes my life forever! Great product with so many benefits so far too many to list ! Today is my second day to take Cloud tincture. I had a bit of a headache yesterday, but I passed it off to my unusually busy day yesterday. But this morning I woke up with terrible stomach pains and my head is still pounding. Is this normal? Hi I like the product, I came across an old bottle from probably a year ago. Is it still safe to use? Thanks! I use a water soluble CBD oil. It contains less than .03 % of THC. What about this oil? Drug testing is part of my job. From what I have seen, you could have a false positive to the drug test but blood testing would come back negative of course. I'm not sure how long it takes to build up to that false positive though. They do offer a no THC product you can order online or if your local store carries it you could get it there! I have been taking American Shaman Water Soluble for about 5 days now, just in the morning. The benefits I have noticeably received from it are greater arousal in the bedroom with my partner, a little more energy, digestive tract regulatory, and a little bit of pain reduction. I wake up in the mornings now with a bad migraine and bones aching everywhere....since I started taking. Why is this? I just started using some of this for a trip I took, that was 10 to 12 hours in a car. Stopping every two hours or so plus the CBD sure helped my back and legs. I am even thinking that since I quilt and usually am crawling around on the floor putting a quilt together it may help there also. It is really nice being pain free. this will be the second time ordering through American Shaman. I have severe chronic pain. I love there lotion. It really seems to help rubbing right into my muscules. Now she told me to try the 900 water soliuble for animals or horses. it is actually for people too. It was a lot more potent. so strong I cant do the drops but I put it in aorange,pinneapple and bananajuice and it goes down pretty good like that. I just have to find the right dosage or company that will really help on my tough chronic pain. I am a new user of the water soluble full spectrum hemp oil and was wondering if it’s ok to put in orange juice, hot tea, coffee or smoothie? They told me its ok in any liquid, however I DID NOT ask about hot coffee. I take the water soluble in orange juice or gatorade. Wilma use the water soluble in my coffee morning. The heat does not effect it in any negative way. Sublingual delivery is best for optimal absorption. Hold under the tongue for 30-90 seconds. You don't want to lose most of your potential to have the nost benefits by swallowing directly without giving it the best chance to absorb. (They mention that you *could* add to juice or water, but it's possible that heat could destroy some of the beneficial properties, and you really only want to go the route of sublingual delivery, as your digestive tract will kill off and/or filter out much of it).Blessings ?? The water soluble is not sublingual. They told me that the nanotechnology they use to make it water soluble makes it in a way that the cannabinoids and terpenes are absorbed before it even hits the back of your throat thus making it the most effective and absorbed CBD product on the market. Kathleen, You can use the water soluble in all of the above. The water soluble should be fine in coffee, but to be safe if you are heating it up I would just use the cloud product, it is safe enough to heat to use in a vape pen so coffee should be no problem if you are worried about it!